Hi there Folks..Wishing you all a Happy Thanksgiving Day. Eat, Drink and Be Merry, at least for today. Tomorrow, back on the diet and facing everything life has to offer. If you have youngsters that need something to do on Thanksgiving Day, or over the long weekend, how about learning to cut some paper snowflakes. They are really easy to make. To read my instructions on how to cut a paper snowflake, click here. 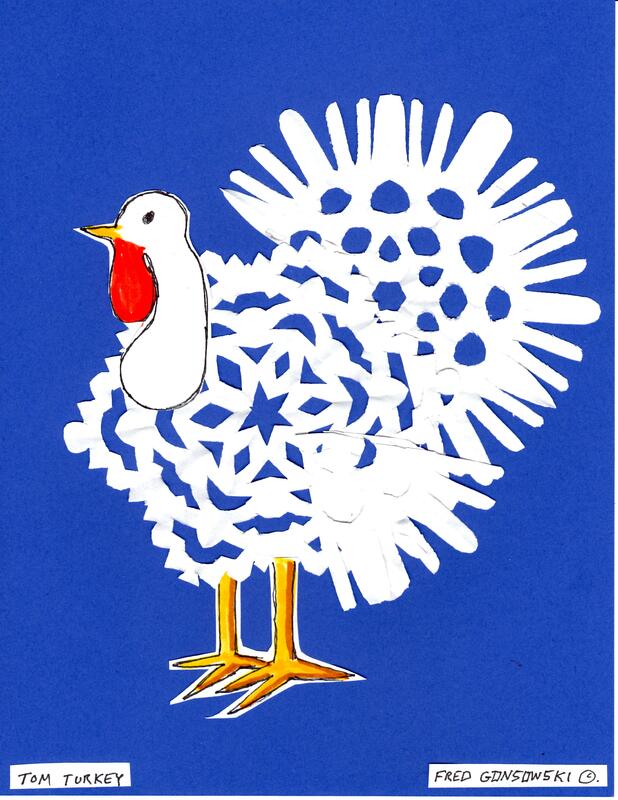 If you want to go a step further and make a snowflake animal like Tom Turkey, shown above, chick here.